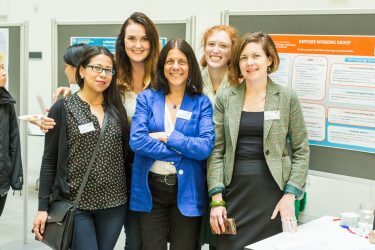 In 2018, Bilingualism Matters celebrates 10 years of public engagement activities helping people to make decisions about bilingualism and language learning based on the best available evidence. 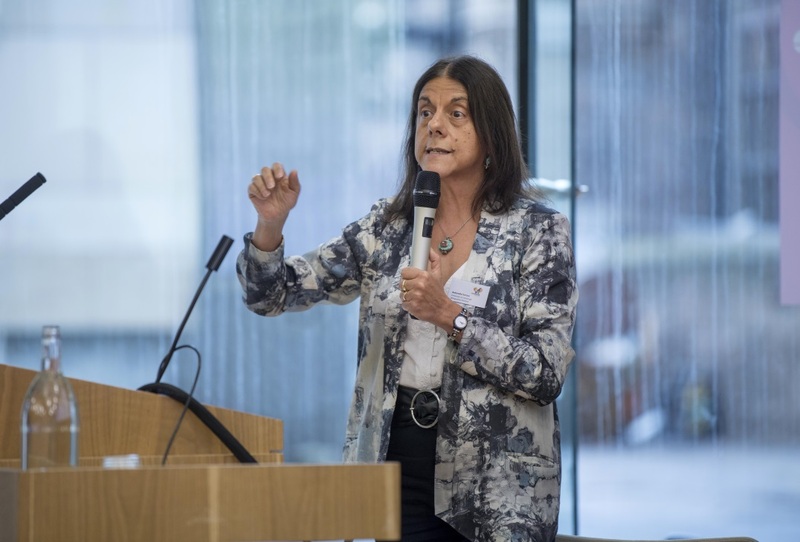 Founded in 2008 by Prof Antonella Sorace at the University of Edinburgh, it has grown from a one-person local service to an international network of over 20 branches based in 13 countries around the world. To mark this special occasion, we organised the first Bilingualism Matters Research Symposium, which aimed to provide an opportunity for researchers in and around Edinburgh and from across the Bilingualism Matters international network to come together to share and exchange ideas on any aspect of bilingualism, with a focus on dissemination potential beyond the academic world. Following on from the Symposium, we invited our stakeholders from the community to join us for our special 10th Anniversary Annual Event. 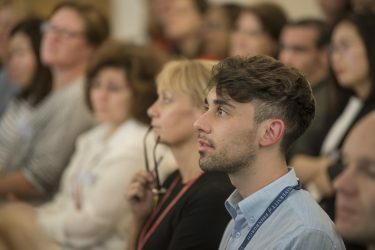 The event was launched by the Principal of the University of Edinburgh, Professor Peter Mathieson, and featured a range of informative talks covering topics such as Gaelic medium education, British Sign Language, a history of Bilingualism Matters, and an overview of research into bilingualism over the last 10 years. All the photos from both events and the full programmes are available to see at the links below. Refugee languages are often viewed as an obstacle to integration. For refugees, however, they provide a source of continuity at a time of great upheaval and disruption, and can play a key supporting role in learning the new country’s language. For the host country, the languages that refugees bring with them are a rich and untapped resource. As part of Refugee Festival Scotland 2018 in June, Bilingualism Matters was delighted to present an expert talk by Professor Antonella Sorace on the value of bilingualism, video testimonials from refugee learners, an overview of the ‘Moving Languages’ app from Dr Katerina Strani, followed by questions, discussions and time for networking. 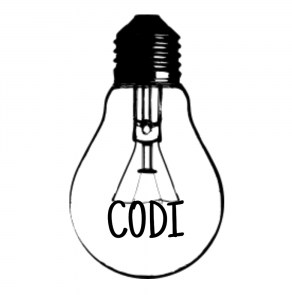 We’re currently putting together a short event summary document which will posted here shortly. 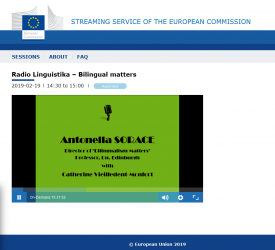 Have your linguistic preconceptions challenged at two shows from Bilingualism Matters as part of the Edinburgh International Fringe Festival! The shows are part of the Cabaret of Dangerous Ideas 2018 (debate, discussion and discourse at the Edinburgh Fringe) at New Town Theatre (venue 7) and are presented by columnist and comedian Susan Morrison. We were delighted to have a visit a couple of weeks ago from Bilingualism Matters Penn State‘s Frances Blanchette. 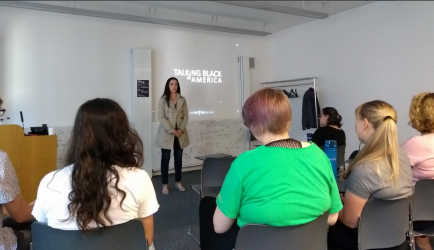 Her visit gave us the opportunity to link with Edinburgh University Linguistic’s Society for a screening and discussion of the critically acclaimed documentary ‘Talking Black in America’. Read more about this fascinating documentary on the Talking Black in America website. At the Edinburgh branch of Bilingualism Matters, we are lucky enough to have a large group of enthusiastic volunteers to help us. 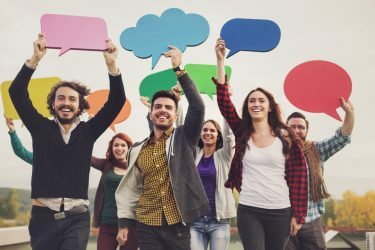 Many of them are post-graduate language students keen to see the messages from their research reach appropriate audiences, such as families, teachers and speech therapists. We also have academics, professionals and members of the public who all have an interest in seeing the science of bilingualism research being available in the community. Bilingualism Matters Edinburgh Co-director, Dr Thomas Bak visited to the House of Lords in January to give expert advice on the health benefits of bilingualism to the All Party Parliamentary Group (APPG) on Modern Languages, with his colleague Diną Mehmedbegovic, with whom he has a new website called Healthy Linguistic Diet. This visit is the first time that the cognitive aspects of bilingualism have been discussed by the group. There’s a great article in Polish that you can read in its original language or translate through your browser. Thomas also featured in a half-hour special of the BBC Radio Scotland programme Brainwaves (click to listen if you are based in the UK), discussing his research into bilingualism. 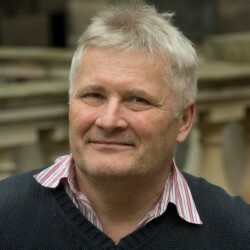 This excellent interview, with science journalist Penny Latin, explores many aspects of his research and how results can and are applied within society, including in his work with Bilingualism Matters. You can find out all about language initiatives Lingo Flamingo and Yakety Yak Language Cafe, with whom Thomas collaborates, and hear details on the latest research demonstrating the benefits of languages in the human brain. In February 2018, Antonella Sorace visited Indigo Childcare in Glasgow to give a talk to parents and staff about bilingualism and language learning. They have recently launched a Spanish Programme, which is proving popular with both the children and the parents. We asked them some questions about their programme for our Spring 2018 newsletter. What are the aims of the Spanish Programme at Indigo Childcare?